Congratulations to the darling newlyweds- Brittany and Nick! This cute and rustic vintage-style wedding took place at Vine Hill House in Sebastopol, Sonoma County. 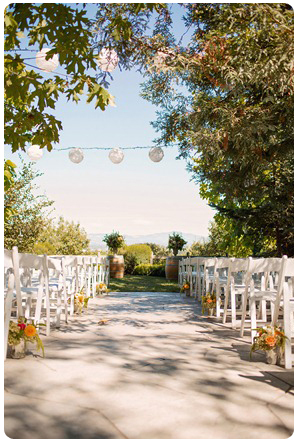 This unique venue and private winery is the perfect setting for a rustic-style wedding, with the ceremony site overlooking the expansive and fragrant winery. You can check out their venue over at www.vinehillhouse.com/. But only after you have finished looking at these beautiful photographs! 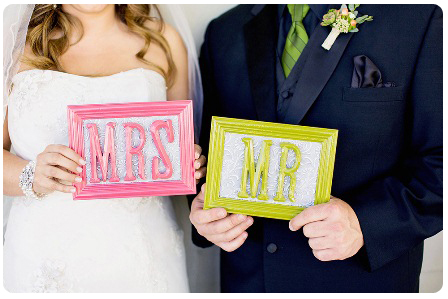 The bride and groom really made their wedding day their own and designed so many cute homemade things taking inspiration from the always popular and adorable Etsy.com and Pintrest.com. The reception was held on the grass area directly in front of the guesthouse. 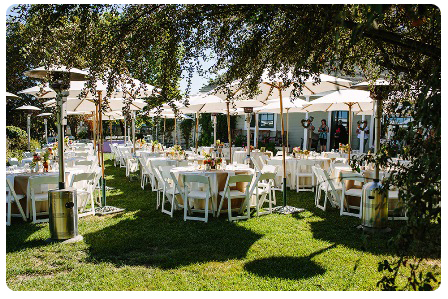 They used our white linens and white chairs under our market umbrellas and as you can see, it was another perfect day for a wedding in Sonoma County. The guest tables at the reception had a burlap runner with homemade table runner signs that were placed inside an open picture frame. 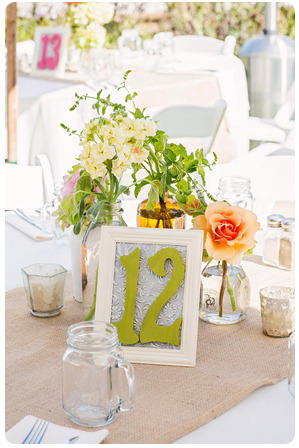 The fun Celtic bottles with fresh flowers really added to this rustic, bright and personal look. Our vintage love seat made an appearance at the outdoor S’mores area. 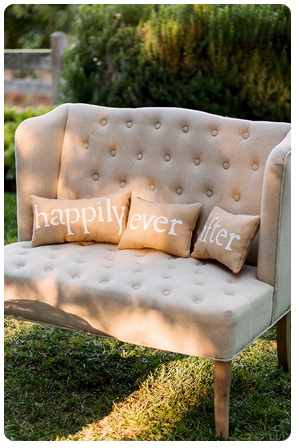 The cute ‘happily ever after’ pillows were a great accent and were found on etsy.com. 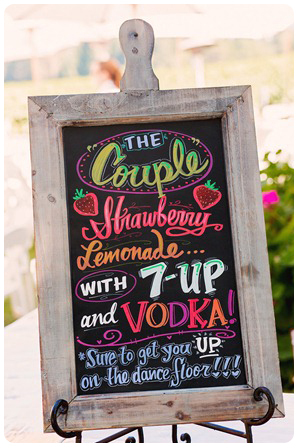 We have a feeling this wedding will be seen in many more wedding blogs. But remember where you saw it first­­––at Encore Events Rentals! Be sure to share any ideas you like and tell your friends!